I can’t concentrate on much, so I thought it was time for a big ole brain dump of what’s been rambling around my head, and life lately! ONE // I always hate sharing fun finds with you, only to have them sell out. But I’m happy to report several of my favorite pieces are now back in stock (and on sale! )…including several closet staples from last year. This sweatshirt was a favorite on our trip through Scandinavia. It’s not just soft and cozy, but so stinking cute with the ties! It now comes in several fun colors, including stripes. 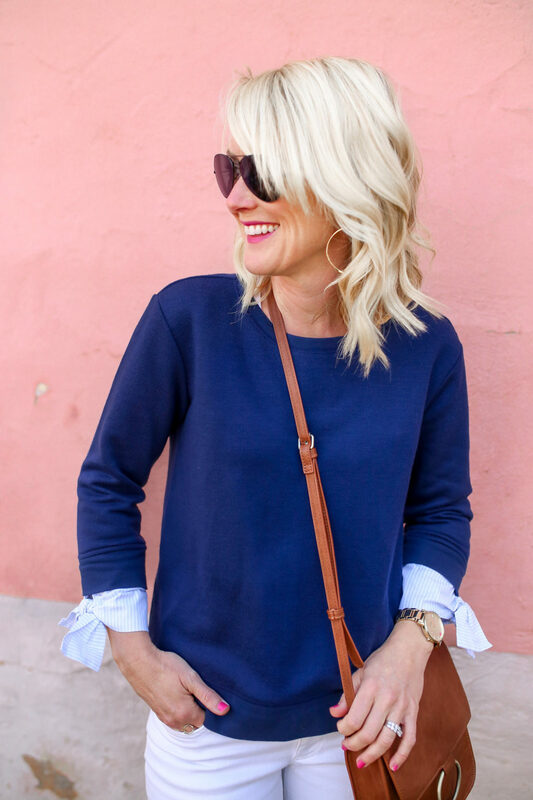 This fleecy sweater top was in heavy rotation last Fall…I wore alone, layered over collared shirts, and even with lacy bralettes peeking out (see that look here). It’s pajama-soft, and long enough to wear with leggings. I was thrilled to see it back this year, and expect I’ll be forced to get another color. 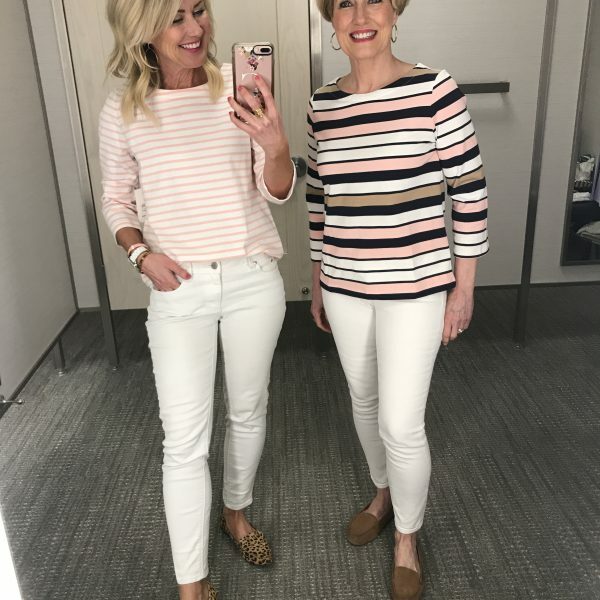 I’ve had this versatile blouse for awhile, and wear it with everything from pencil skirts and slacks, to jeans and shorts. It’s a classic piece that will never go out of style, and it’s on super sale! This fun pom-pom clutch sold out in a hot-minute last year…but it’s back, and under $30! 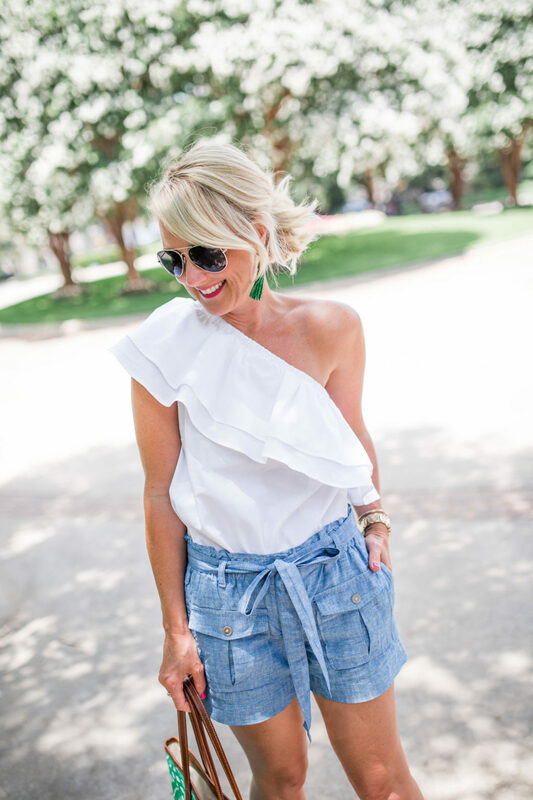 I shared this one-shoulder ruffle top in a recent Summer of Style post…and I’m excited to see it marked waaaay down! 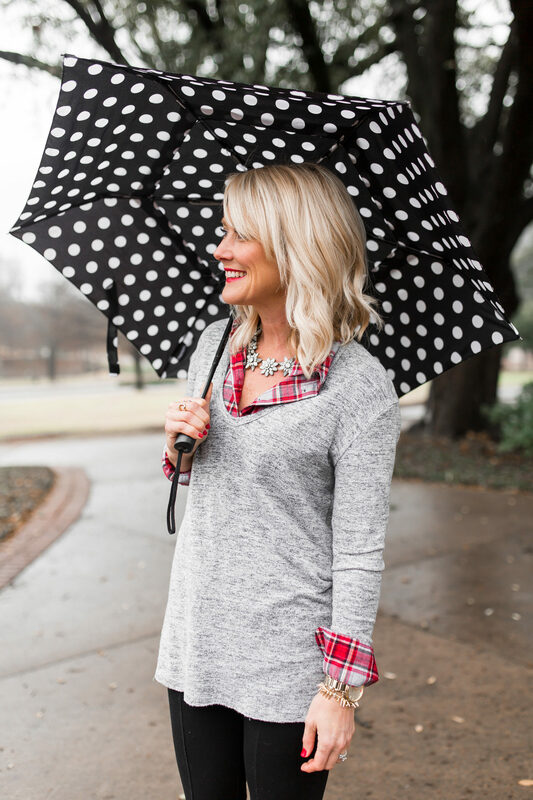 It comes in so many great colors, and even a fun gingham. Size down though, it runs large! TWO // This dude is a legal, licensed driver now!! It was a long day making it happen, between the driver’s test and the line at the DMV, so I was mostly in ‘get it done’ mode. You know how we moms can be! So I was completely unprepared for the flood of emotions that came as soon as it was official. I took this picture, then practically burst into tears! I’m enormously proud to be his mom, and love watching him grow in to a man…so whyyyyyy does it make my heart hurt so much?! THREE // The night he got his license, we celebrated with a nice dinner out, followed by the presentation of his car contract! (I still remember doing this with my parents!) It basically states all our rules and expectations that come with the privilege of driving. We kept it light-hearted, but there’s no mistaking the seriousness behind it, too. 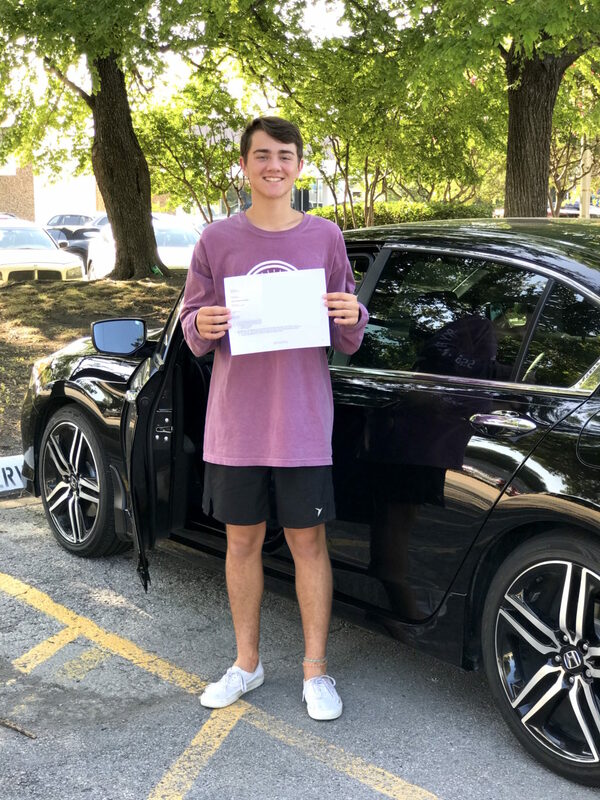 I posted it to my Instagram Story, and was overwhelmed with requests for a copy…so here you go –> Hi Sugarplum New Driver Car Contract. Our contract is essentially an accumulation of several we found online (there are tons!!). 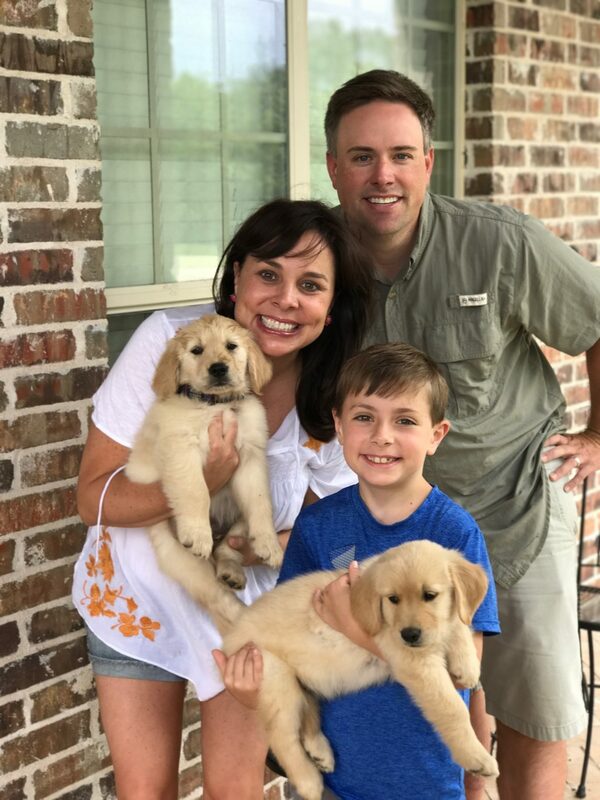 FOUR // Speaking of kids, I chatted with John and Sherry of Young House Love again…this time for their Why We Stopped Sharing Our Kids on the Internet podcast. They interviewed several moms, all of us with kids of various ages, for our philosophies on sharing our kids on the internet. Mine is simple: My kids get full and total approval for every image of them I post on the blog and social media. Period. FIVE // Just when I start to get over the post-vacation blues, I spy the darling Chassity’s new Harbor Island house in the Bahamas…aptly named Coral House. I’m warning you though, you’ll want to pack your bags and never look back! SIX // And if beach houses aren’t your thing, how about pics of the cutest puppy faces ever?! My dear friend Sheaffer just added TWO furry additions to their family, and I can’t get enough of them. Just look at the joy on all their faces!!! And the whole thing was a surprise for their cutie-pie son! Read the fun story here. SEVEN // Stuck at your desk all day, or don’t live in an area that gets a glimpse of the full solar eclipse? NASA will be live streaming every phase from Oregon to South Carolina, with images captured by research aircraft, high-altitude balloons, satellites and specially-modified telescopes. I know our schools are pausing to watch this stunning event…you can watch it here. EIGHT // I had the fun opportunity to appear on Good Morning Texas last week, as a guest and connoisseur of Barrington Gifts. I’ve done video on several occasions, but live television is a completely different beast!! There’s no starting over, or really even a chance to practice! It was a fun experience though, and I learned just how fast four minutes flies by! You can watch our segment here. NINE // I became a fan of Kristin of Gypsy Soul Interiors last year after winning one of her stunning art pieces in a silent auction, and I’ve since been stalking her online and drooling over her vibrant pieces. Kristin recently added custom paintings to her list of many talents, and they make the best meaningful gift idea! 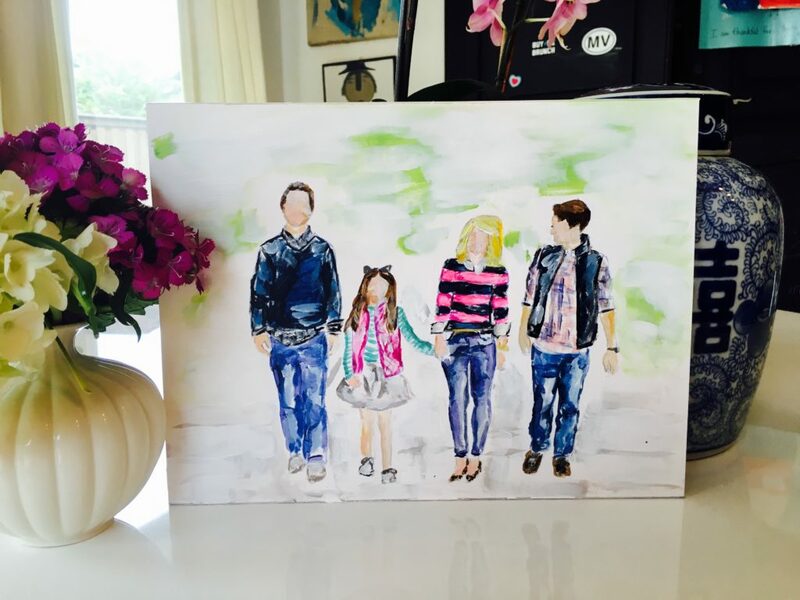 She takes your favorite photos from vacation, school, or just everyday, and turns them into a spectacular, modern canvas portrait. I mean, what grandparent or spouse doesn’t want an art canvas of their favorite little person’s face? This amazing piece is on the way to me, but there’s no way I’m parting with it. (Sorry, Mom!) 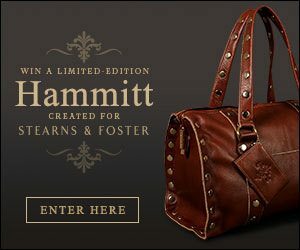 Find all the scoop on how to order your own here. TEN // The Nordstrom Anniversary Sale was a good one this year, but unfortunately, most of the great stuff sold out early on. 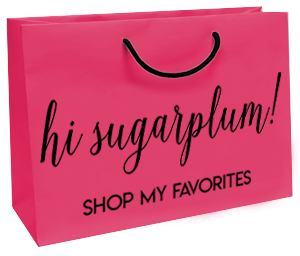 #wompwomp I know many of you were doing a daily refresh hoping to see your favorite pieces return, and while the sale is now over, these must-haves of mine are now back-in-stock. 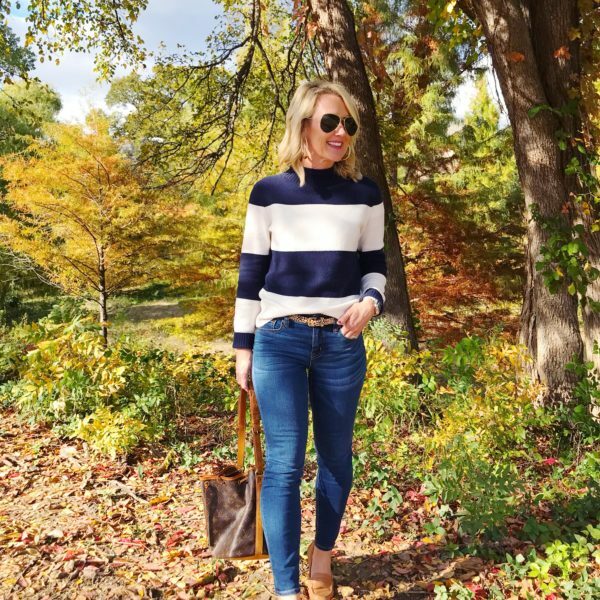 Even at full price, these jeans are a steal!! Both are crazy-soft and comfortable, and look great paired with dressy or casual wear. 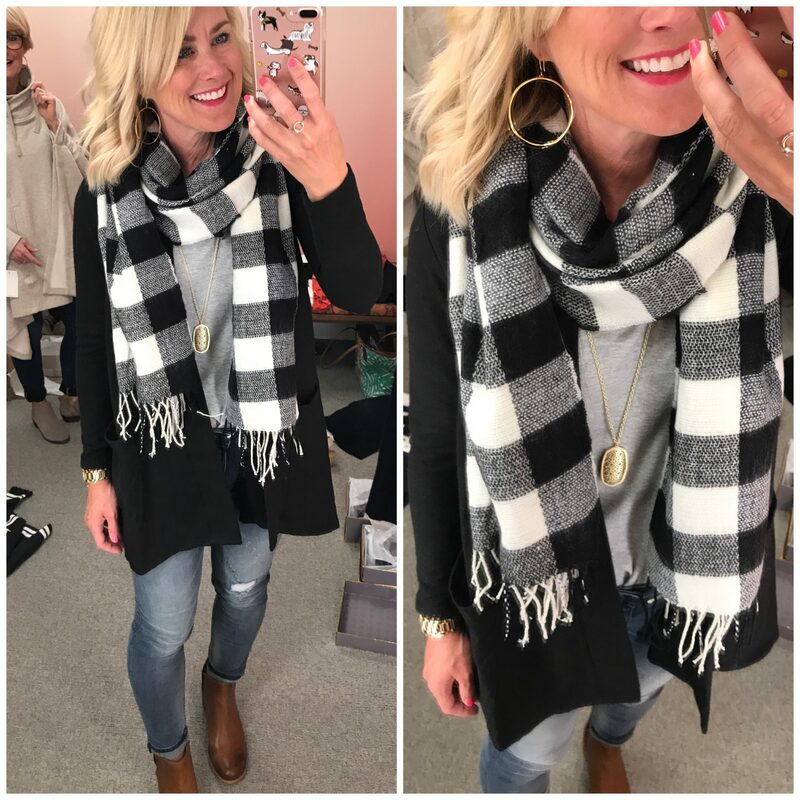 This plaid scarf is the perfect final layer to all your Fall outfits, plus it’s not bulky or scratchy! 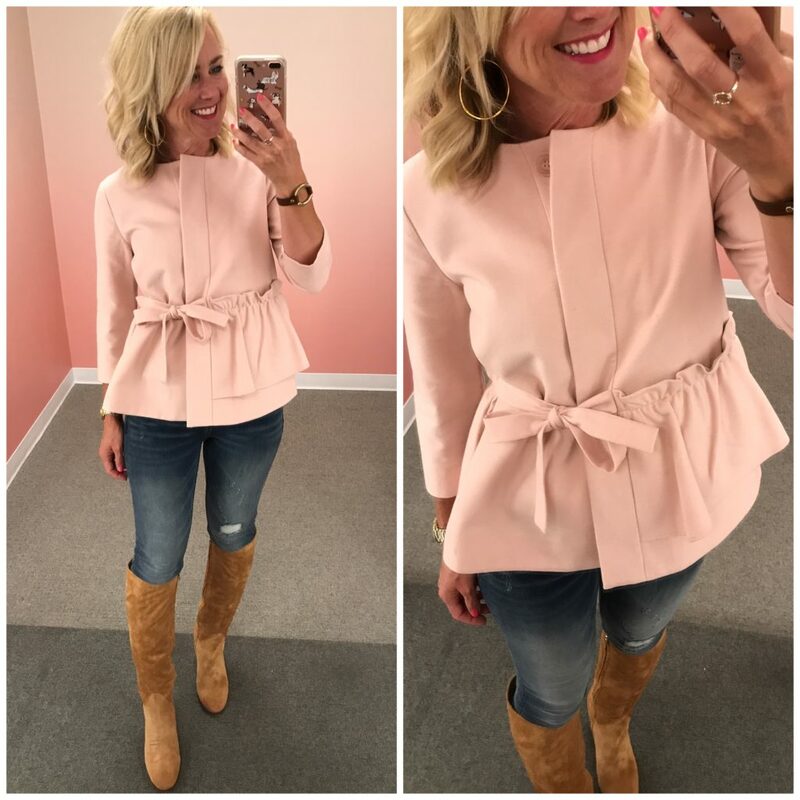 I don’t know what I love more…the ruffle jacket (perfect for work and weekend), or these gorgeous knee-high boots! The caramel shade is the perfect neutral, and the block-heel makes them comfortable. 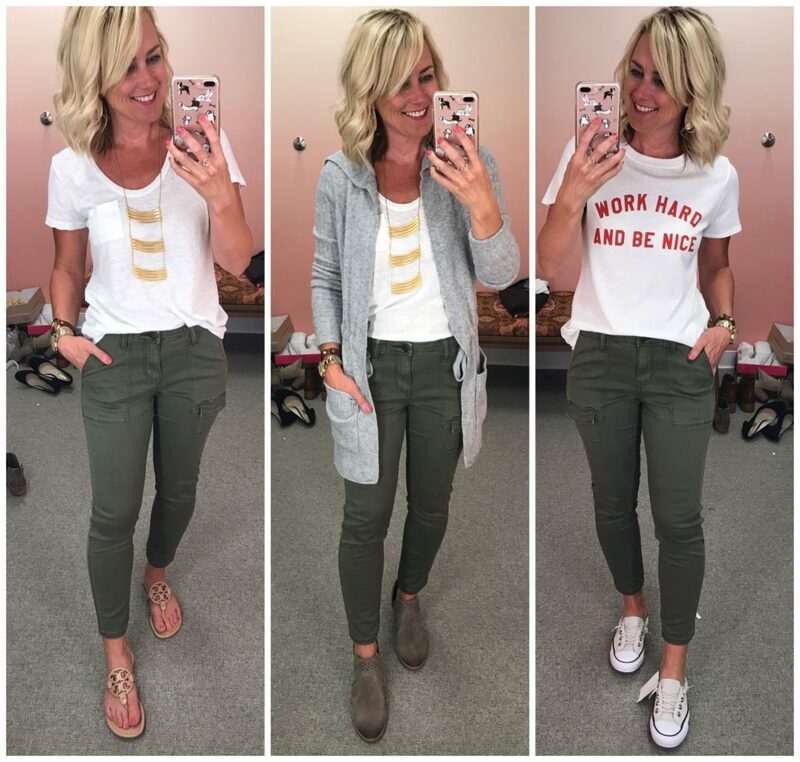 I’ve never owned cargo pants…or pants in this olive color for that matter…and already I have no idea how I’ve gone so long without them! 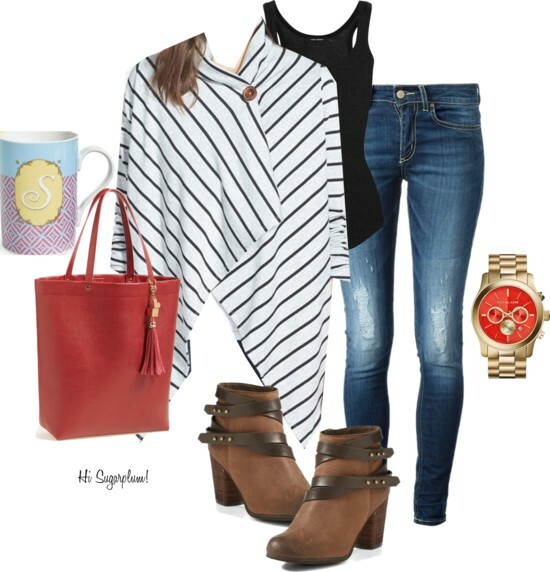 They’re a great transitional weight, and look darling with everything from tees and sneakers to sweaters and boots. 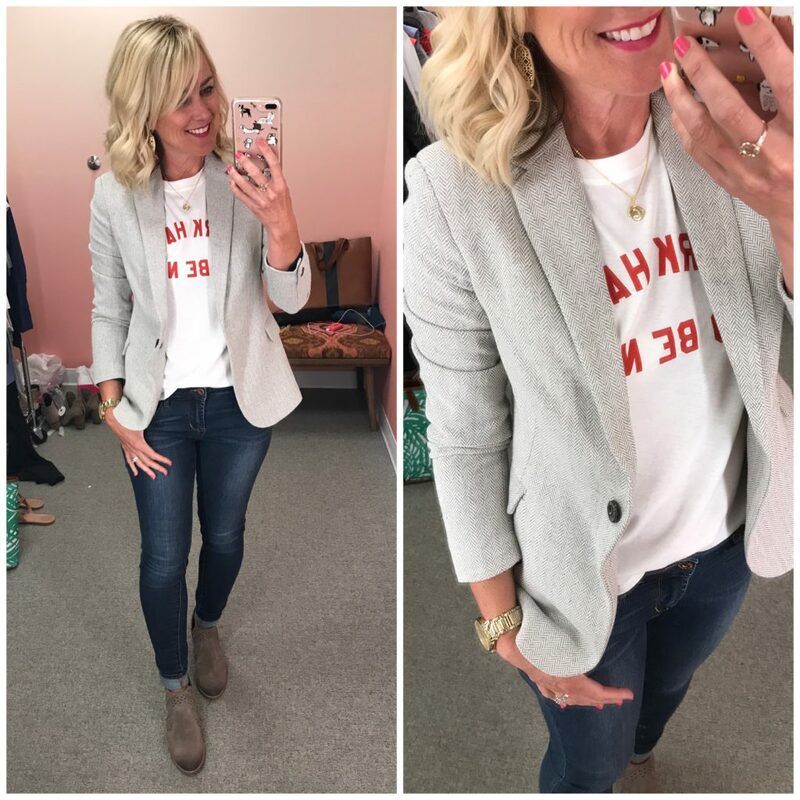 This blazer was my biggest surprise-find, and I can hardly wait to style this herringbone cutie. 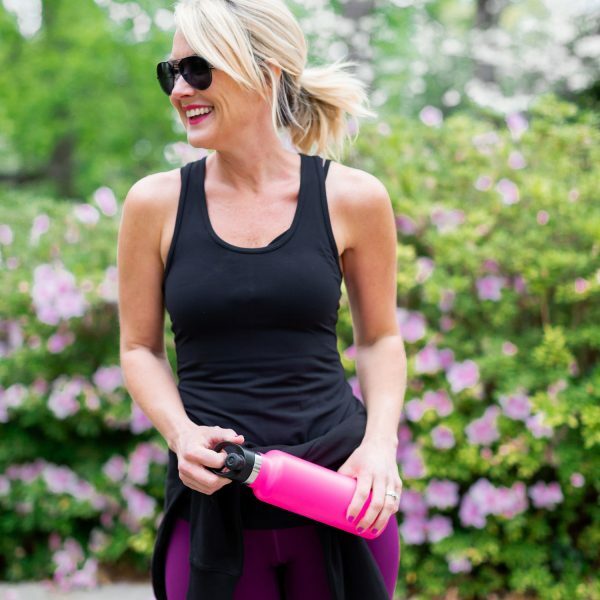 It’s lightweight and slim through the body, and the color so versatile. I’d dress it up with a lacy camisole, or down with a graphic tee like this. 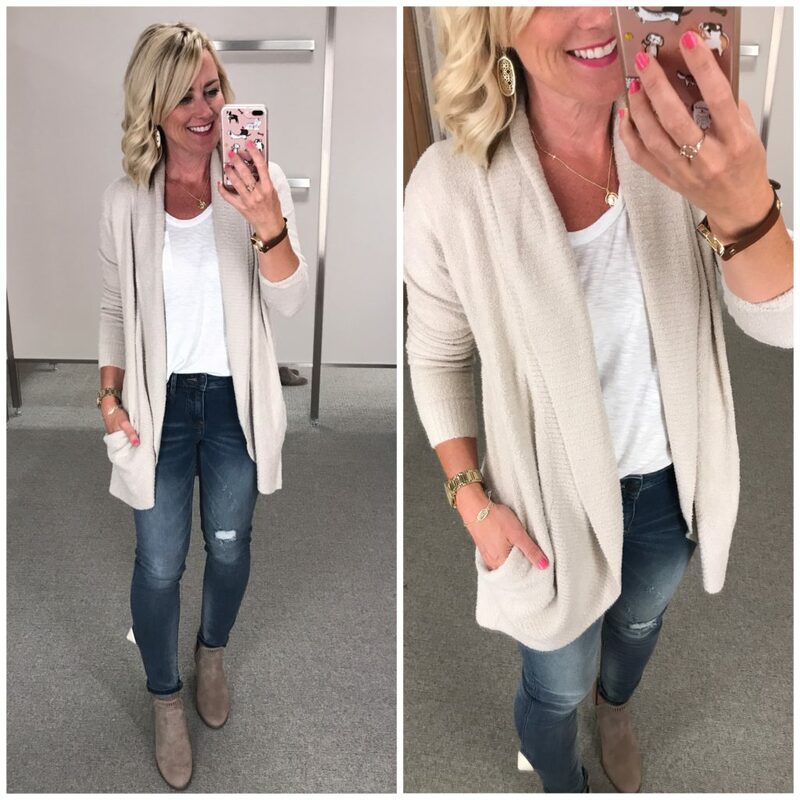 This year is all about the cozy cardigan, and I love both this hooded version, and this shawl-collar option. Both are made from the softest material, and come in great neutral shades. They feel so good, I wear mine every night around the house! And I can’t leave you today without thanking you for your overwhelming love and support for mine and Little Miss’s video last week! The comments on the blog and social media had us grinning all weekend long. Y’all seriously are the best, and blow me away with your support. Coral House is so beautiful! Thanks for introducing me to it, I’m bookmarking it for its design! So inspiring! Can’t believe some kids are starting school back this week already! Why is it that summer seems so much shorter than winter? Loving all your outfits- and especially that bow sleeve sweater and your herringbone blazer. I LOVED listening to your thoughts on the YHL podcast about sharing your kids with the world. As a blogger with a baby due in a few months, privacy and sharing have been on my mind lately. It was a timely episode and I loved your insight. What a great idea about the car contract! I still have at least 6 more yrs to go but I know how time flies with the kiddos! I thought you did a great job on the Barrington video–4 minutes does go by quickly! Absolutely adore the video you and Sloane were in for JCPenney. The clothes you both selected were beautiful, but your smiles and energy pulled it all together perfectly. Oh, thanks Sarah!! I’m headed to Loft soon for the next DRD and will look for those!! What could be better than puppies and a beach house? Puppies AT a beach house, that’s what!! hahah!! yes!! I’m all for that! I’m swooning over you in that blue sweater!! 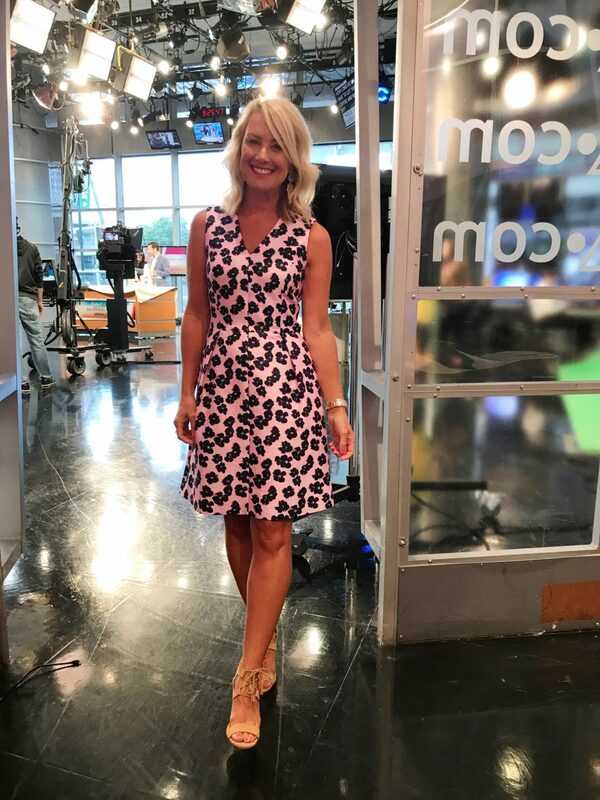 And girl…you looked FANTASTIC on Good Morning Texas!!! OMG, you have a driver now!! I cannot believe how fast that snuck up! I love the contract! Will definitely be putting that to use here when it’s our turn! I love this format. Like most I have limited time to read blogs but don’t want to miss out on something I would find meaningful so this format really works for that. Will be looking forward to another addition!